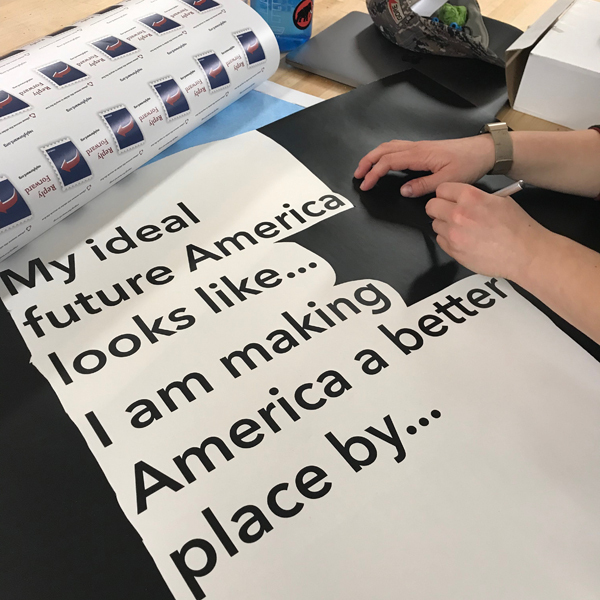 MFA Products of Design student Hannah Rudin is using the VFL to make America a better, more friendly place. With her year long thesis project, Reply Forward - Hannah is examining how team building techniques can be applied to approaching our ever polarizing country. 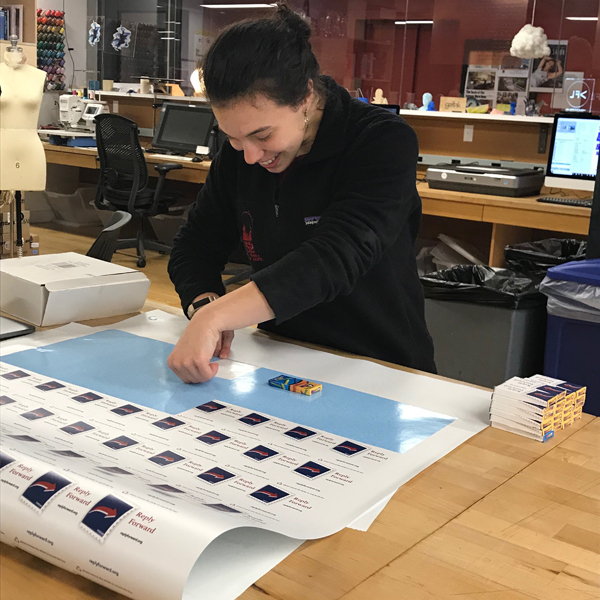 By using the Vinyl printer, Hannah made stickers to personalize boxes of crayons that her participants will use to write and decorate postcards to be sent to the mayor.